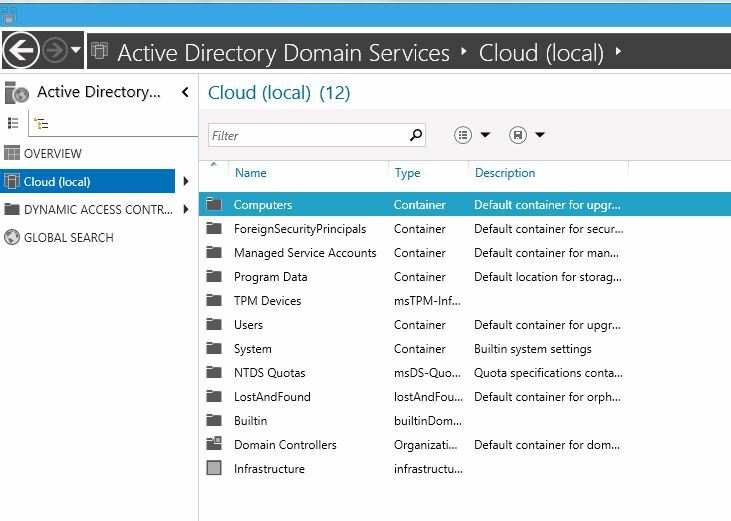 Configuration Manager provides a comprehensive solution for change and configuration management for the Microsoft platform. It allows you to deploy operating systems, software applications, and software updates; and to monitor and remediate computers for compliance settings. 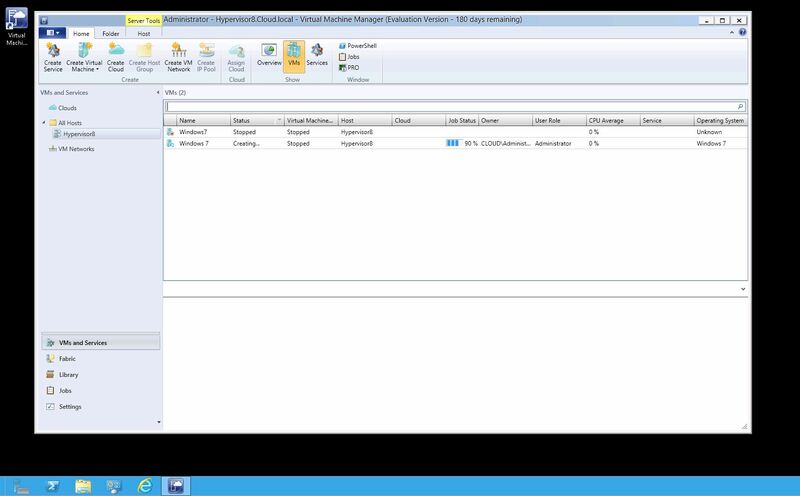 With Configuration Manager, you can also monitor hardware and software inventory, and remotely administer computers. The Unified Installer is a tool that enables a single user-interface experience for the installation of seven System Center 2012 components. The Unified Installer provides a means of distributed installation from a central point using the existing Setup program of each component. 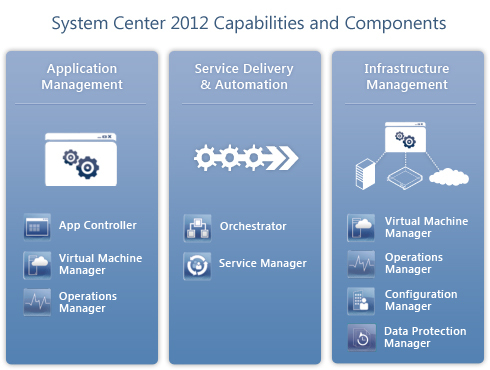 Categories: Orchestrator 2012, SCCM, SCDPM2012, SCOM2012, SCSM 2012, SCVMM 2012, SCVMM SSP, SCVMM2008R2 SP1, System Center 2012 App-Controller, System Center Advisor | Tags: SC2012, sysctr | Permalink. 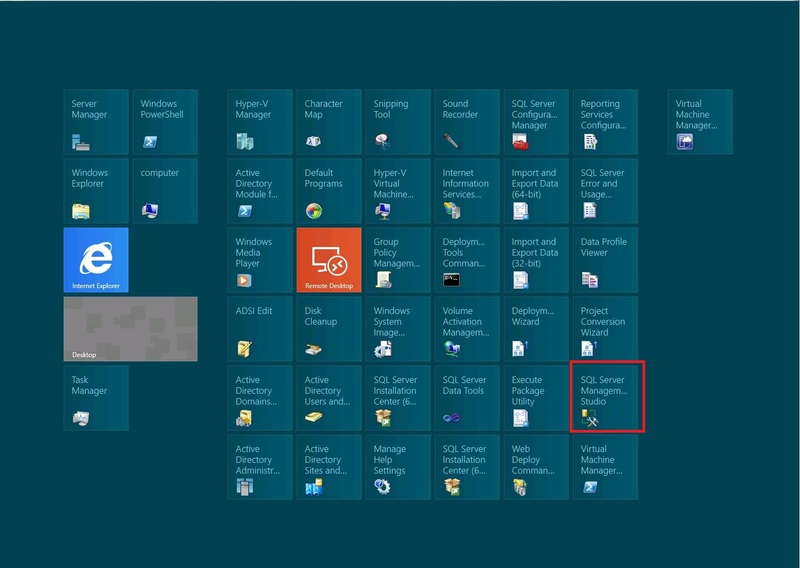 Categories: Orchestrator 2012, SCDPM2012, SCOM2012, SCSM 2012, SCVMM 2012, Windows 8 | Tags: MVA, SC2012, SCVMM2012, sysctr | Permalink. 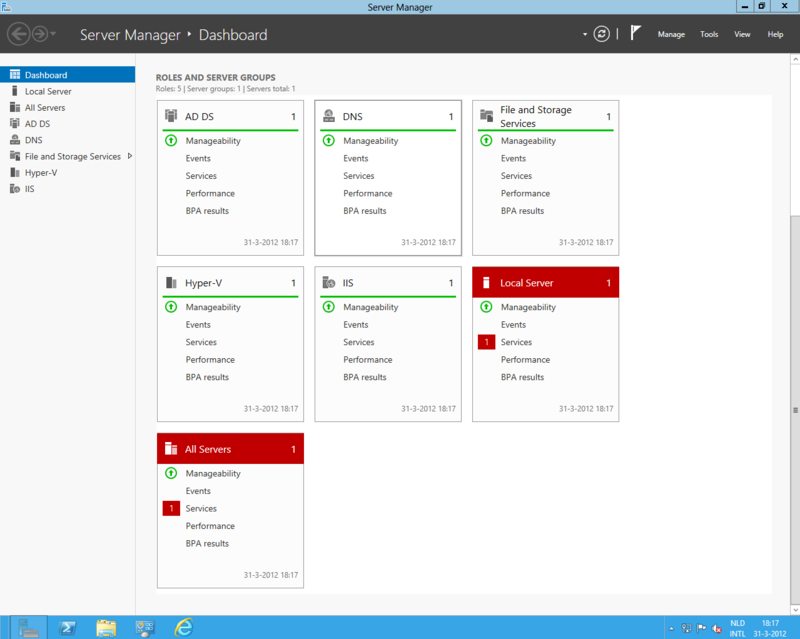 #Microsoft Windows Server “8” Beta and #SCVMM2012 Controle……. 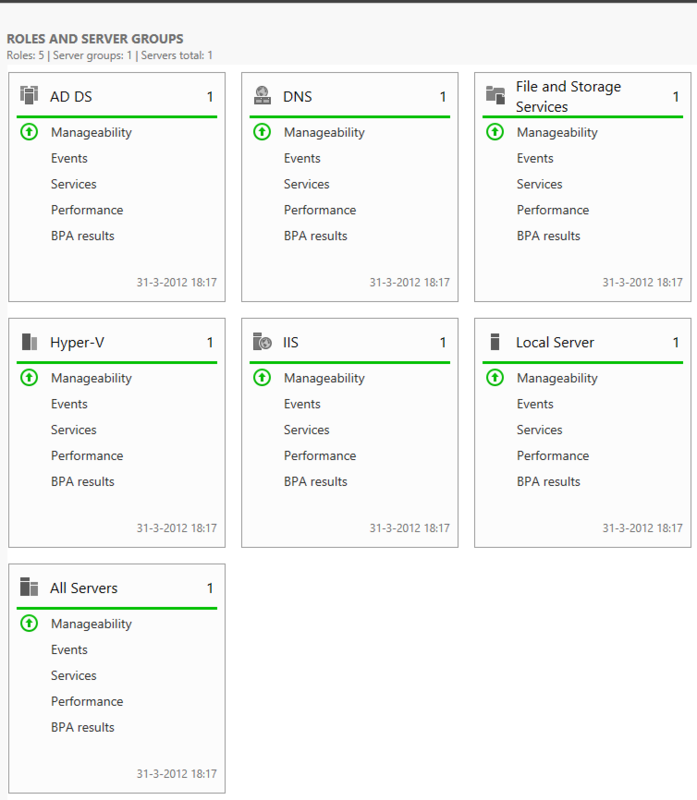 The looks and feels for Controle in Windows Server “8” Beta are Much better in view and easy to use. In one view you see that there is a Service problem on your Server. This was a failed Services, only right click on the services to restart. You can filter on the processen by Selecting them, here you can see that for SCVMM2012 and SQL2012 Server. Here you can see on the Windows Server “8” Beta Hypervisor, the memory usage of SCVMM Console but also of the VirtualMachine Viewer. 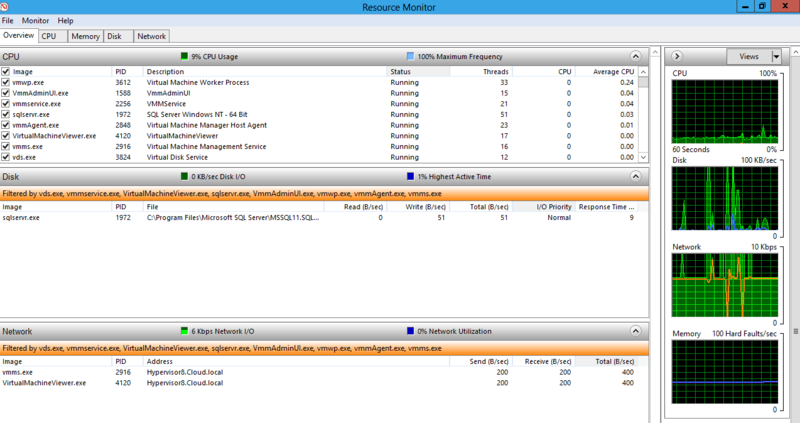 By Filtering you can see the Memory Usage of the Services of SCVMM2012 and SQL2012 Server. Categories: SCVMM 2012, Windows 8 | Tags: SC2012, SCVMM2012, WINDOWS8 | Permalink. 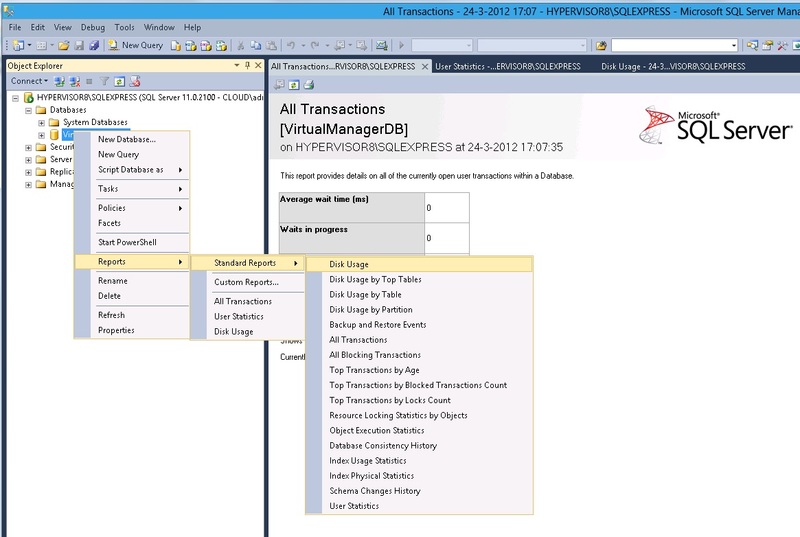 This topic is about reporting SQL 2012 for System Center 2012 SP1 CTP Virtual Machine Manager under Windows “8” Beta Server. 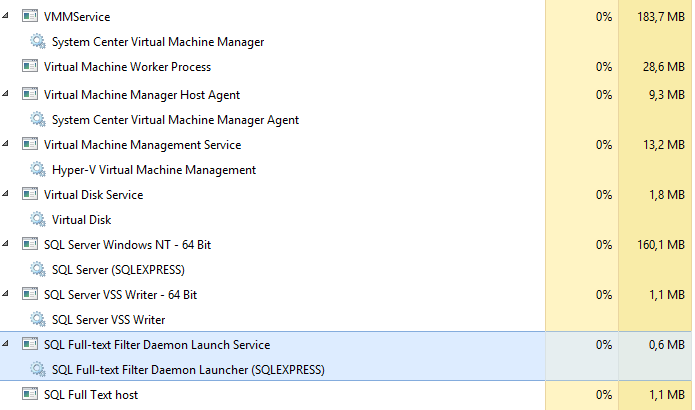 This is a report on the disk Usage of the VMM Database running on Windows “8” Server Beta with SQL 2012. Here you see the User Statistics of System Center Virtual Machine Manager. 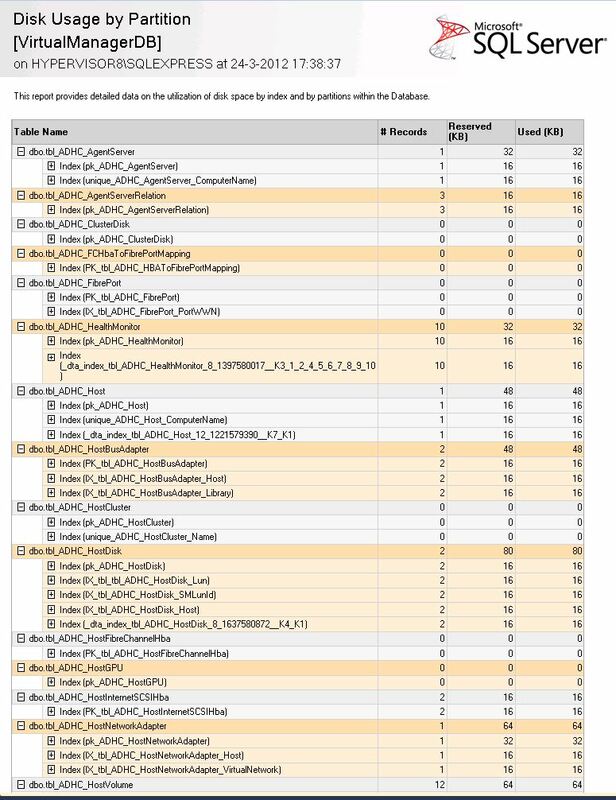 Here you see the Usage by Partion of the SQL DataBase of SCVMM. When you don’t have Microsoft System Center Operations Manager installed, standard reporting of SQL 2012 Server is handy to use. 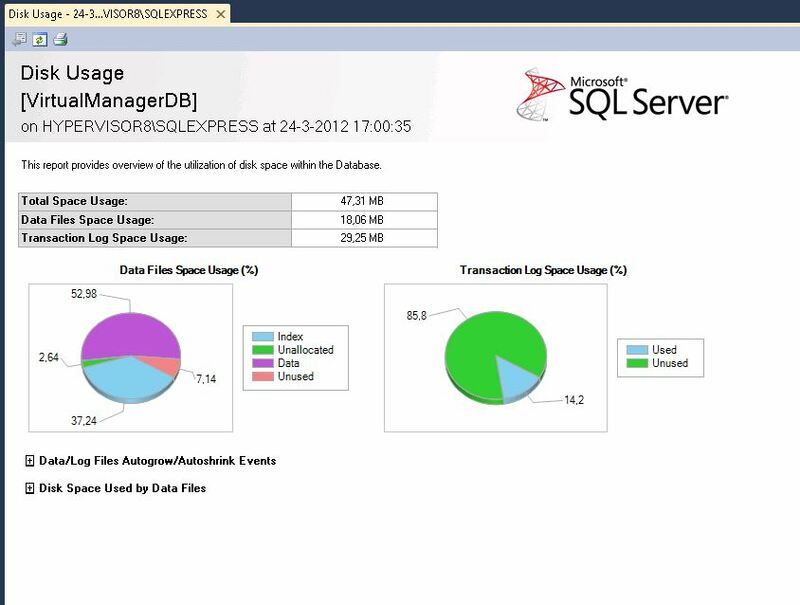 You can also make your Custom report in SQL 2012 for SCVMM DataBase. 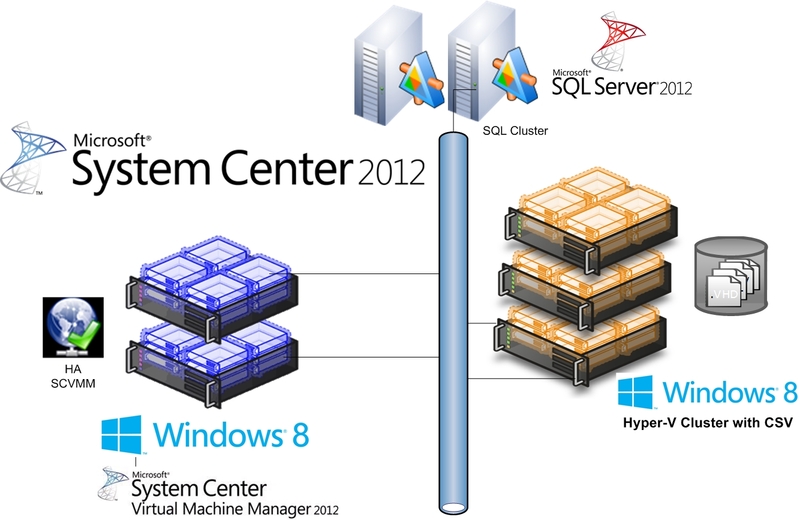 Categories: SCVMM 2012, Windows 8 | Tags: SC2012, SCVMM2012, SQL2012, WINDOWS8 | Permalink. 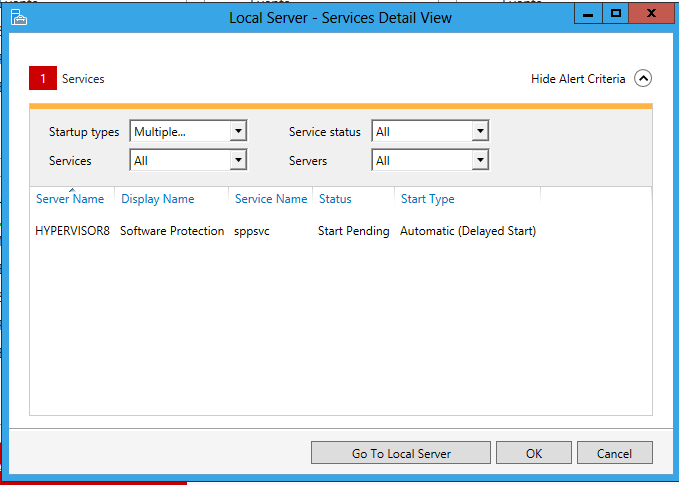 Installing Microsoft Windows Server “8” Beta with Active Directory, my domain is called Cloud.local. The installation of SC2012 SP1 CTP Virtual Machine Manager is the same installation as before. 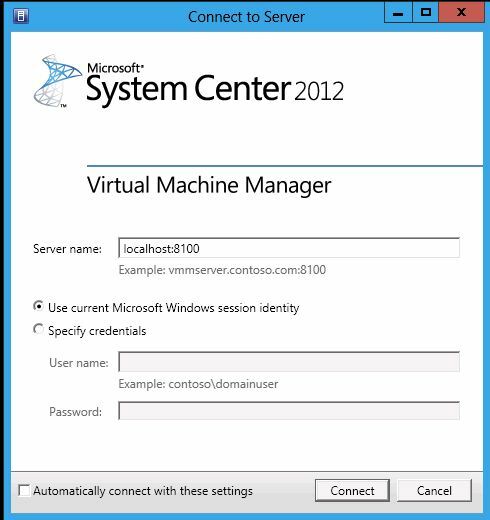 Just connect to your Virtual Machine Manager Server on Microsoft Windows Server “8” Beta.